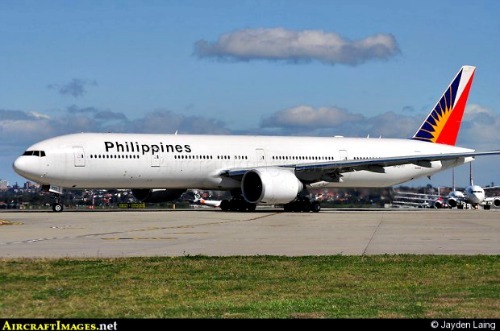 Philippine Airlines (PAL) will be the first Philippine-based carrier to offer its passengers both GSM and Wi-Fi Internet, giving them the choice to call, text, tweet, email and surf the Net while flying across PAL’s extensive network in Asia Pacific, Australasia and North America. Mobile OnAir and Internet OnAir, two services of Geneva-based OnAir – a global service provider of inflight connectivity solutions – will be retrofitted on PAL’s Airbus A330-343s and Boeing B777-300ERs starting next month. The global GSM and Wi-Fi services will be launched by mid-year. With state-of-the-art inflight connectivity, PAL expects to bring passenger experience to a whole new level, especially since the flag carrier is in the midst of an aggressive fleet expansion program. The airline recently signed a US$7-billion deal to acquire 64 brand new single aisle and wide body aircraft from Airbus, with more scheduled for acquisition. “As the country's leading airline, we must enable our passengers to stay in touch during flights. Connectivity is an absolute requirement for today’s travellers,” PAL president and COO Ramon Ang said. “It’s important for us and our customers to have a service that is global, of high quality and flexible enough to suit the needs of all passengers,” he added. PAL is confident it can provide consistent connectivity on all flights using the A330 and B777 because of OnAir’s unique coverage. The company has regulatory approvals from over 90 countries, as well as roaming agreements with more than 350 mobile network operators. Also, OnAir uses Inmarsat’s SwiftBroadband network, the only one designed specifically to provide worldwide satellite coverage. PAL is OnAir's 50th customer.